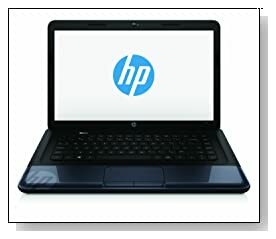 HP 2000-2d64NR is a PC laptop that is designed to be uniquely modern yet simple and to help you with your everyday computing tasks like browsing the net, word processing, preparing spreadsheets, playing songs or videos at a great price.. Now even a better one on Amazon.com! It has an AMD E-Series Dual-Core E1-1500 (1 MB L2 Cache) processor at 1.48 GHz speed that is quite capable of running everyday things smoothly, while its 4 GB DDR3L SDRAM (1 DIMM) that can be upgraded to a maximum of 8GB allows efficient multitasking and the 320 GB 5400 RPM hard drive is again what you would expect for a computer at this range. You also get a free 25GB lifetime cloud storage from Box with your purchase. 15.6 Inch diagonal HD BrightView LED-backlit display at 1366x768 pixel resolution with AMD Radeon HD 7310 Discrete-Class graphics is for clearer images and sharper texts and Altec Lansing dual speakers will allow you to hear proper sound and clear conversations. 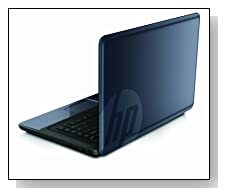 HP 2000 comes with a comfy full-size keyboard, multi-touch gesture touchpad with on/off button. This again is quite sufficient for a good daily typing experience. 6-cell 47WHr 2.2 Ah lithium-ion battery should give your around 4 hours of battery life in average use. HP 2000 laptop is Energy Star qualified and meets strict energy-efficiency guidelines while helping you reduce your carbon footprint. HP Imprint finish in winter blue HP 2000 weighs just 5.3 pounds and is between 1.20 - 1.41 inch thick. Although it is a laptop with a low price tag- especially with the Amazon discount, it doesn't look like one. Operating system is the Windows 8 like you would find on most laptops these days and can upgrade it to version 8.1 for free through the Windows store on the internet. It does have an optical drive- SuperMulti DVD burner unlike many in the market as well as 802.11bgn WLAN wireless, 10/100BASE-T Ethernet LAN (RJ-45 connector), Kensington MicroSaver lock slot for security, 3 x USB 2.0 Ports, 1 x Audio-out Port, 2 x Accessible memory slots, Front facing HP TrueVision HD Webcam with digital microphone, Network Card, Multi-format digital media card reader for secure digital cards, 1 HDMI, 1 VGA (15-pin), 1 Headphone-out and 1 Microphone-in. Verdict: Windows 8 operating system or not having a touchscreen may look like a negative to some customers. But quite frankly, we couldn't find much wrong with the new HP 2000-2d64NR PC laptop, especially considering its cost. It appears to be ahead of the competition with its price, performance, functionality and quality. HP 2000 is not designed to be complicated and has just the right amount of everything you need for daily computing tasks. Well worth checking out!